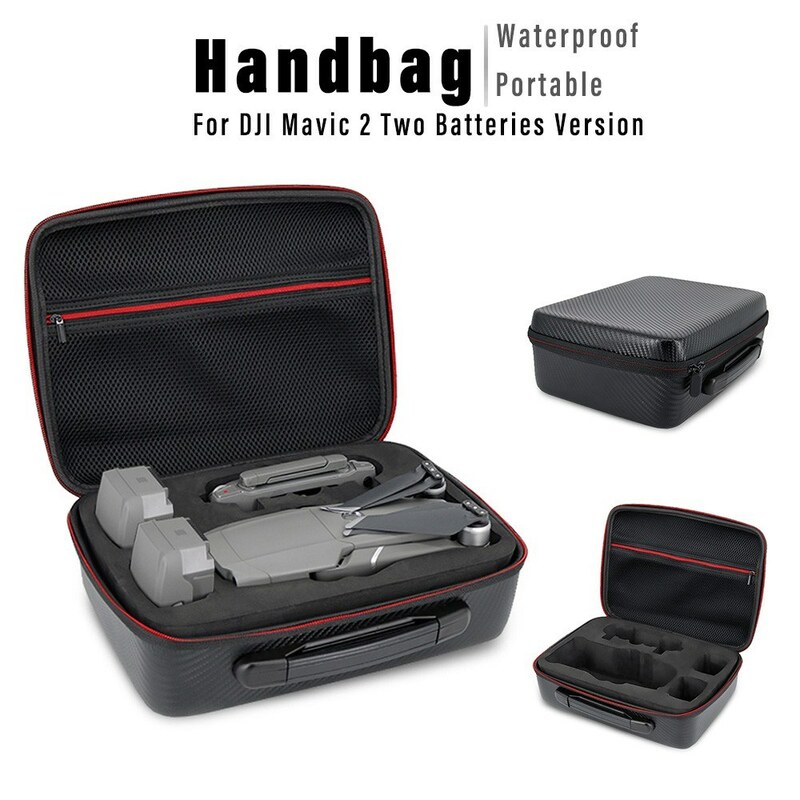 This high quality bag is suitable for DJI Mavic 2 Pro & Mavic 2 Zoom drone, with an eye-catching appearance and fashionable design it easily standout and distinguish from other bags. 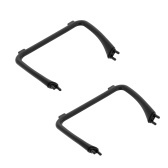 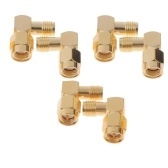 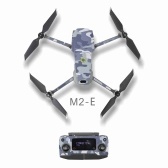 Waterproof material ensure the safety of your drone, great choice to take your drone out. 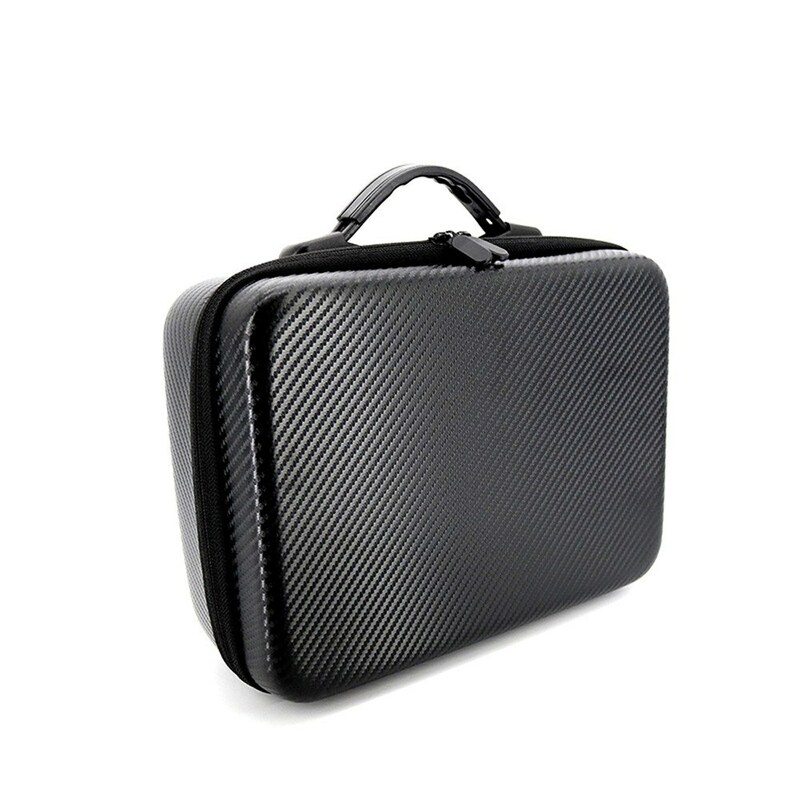 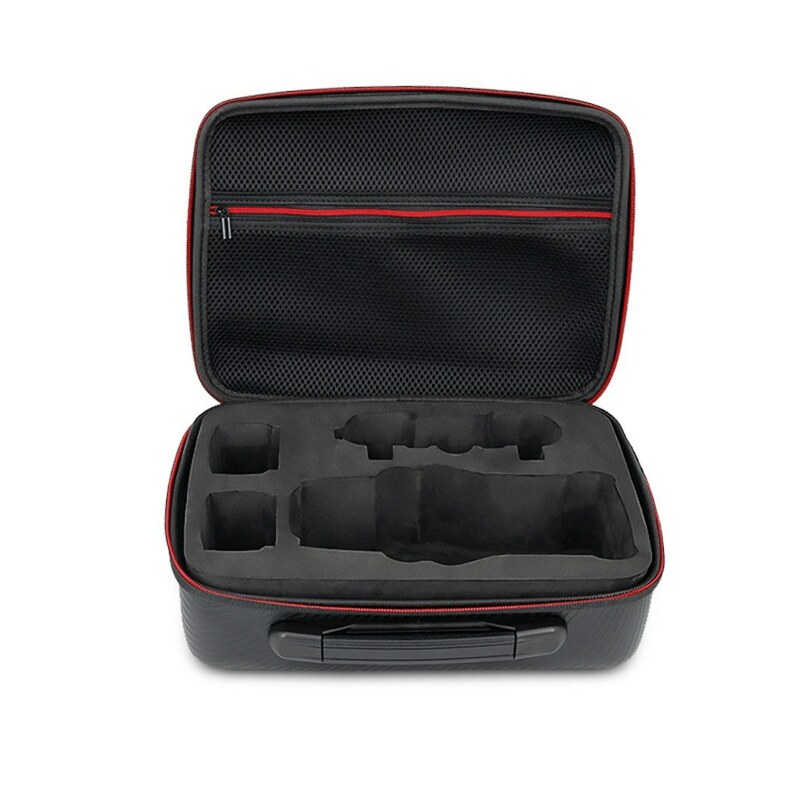 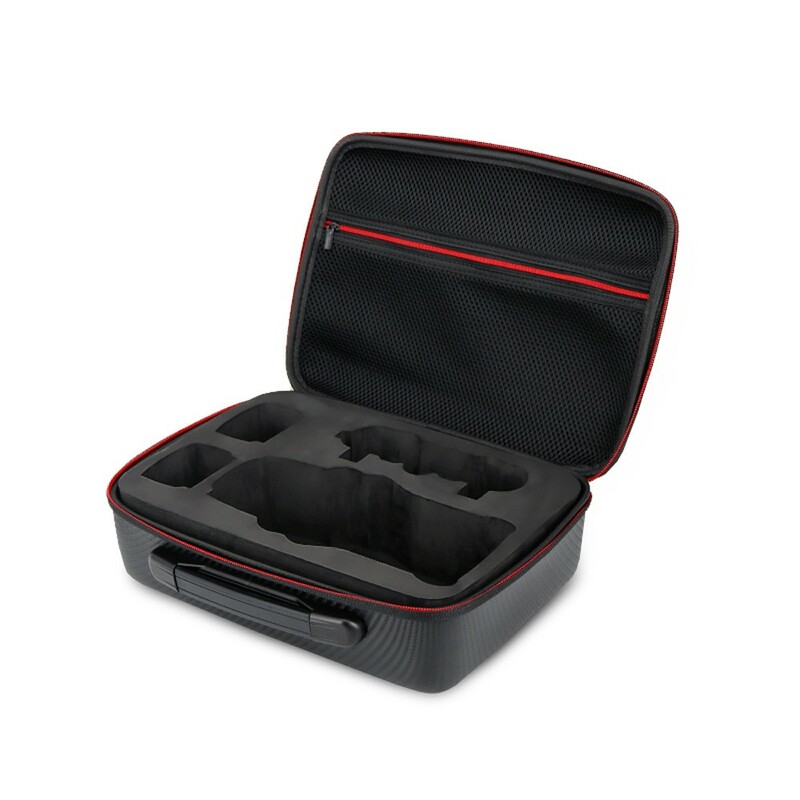 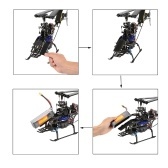 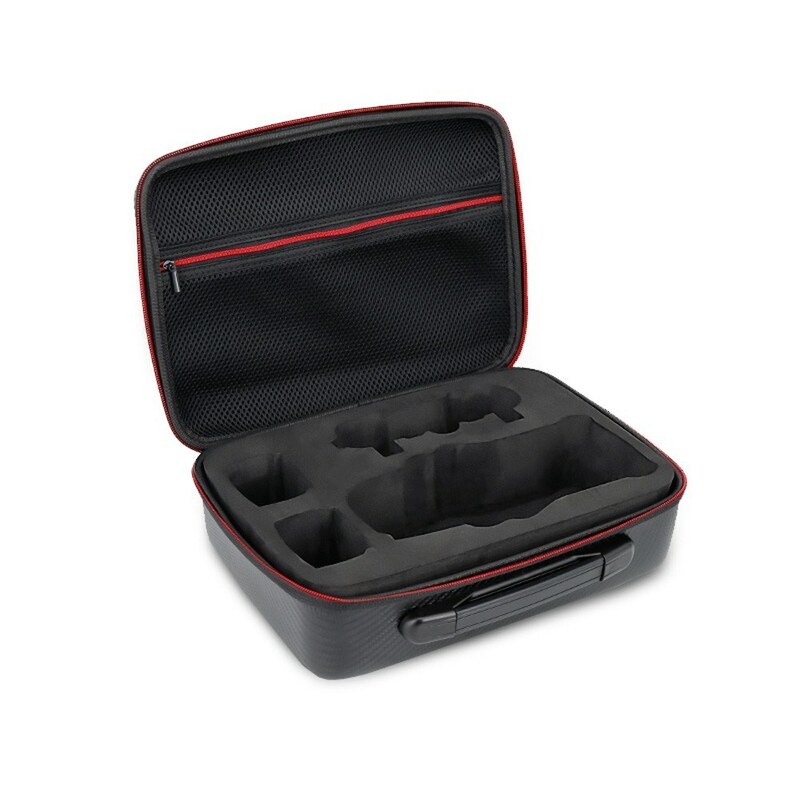 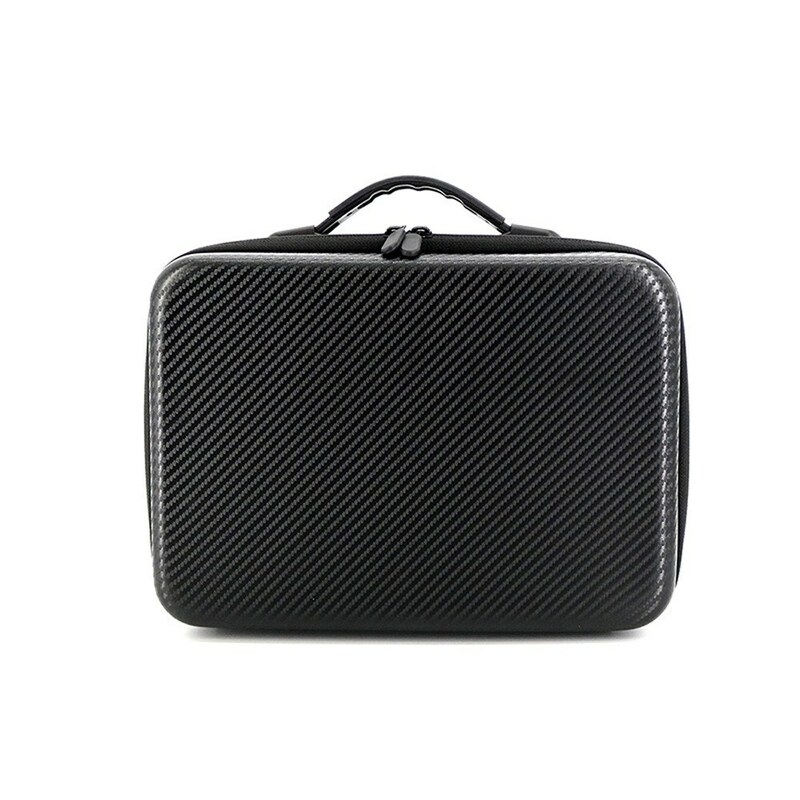 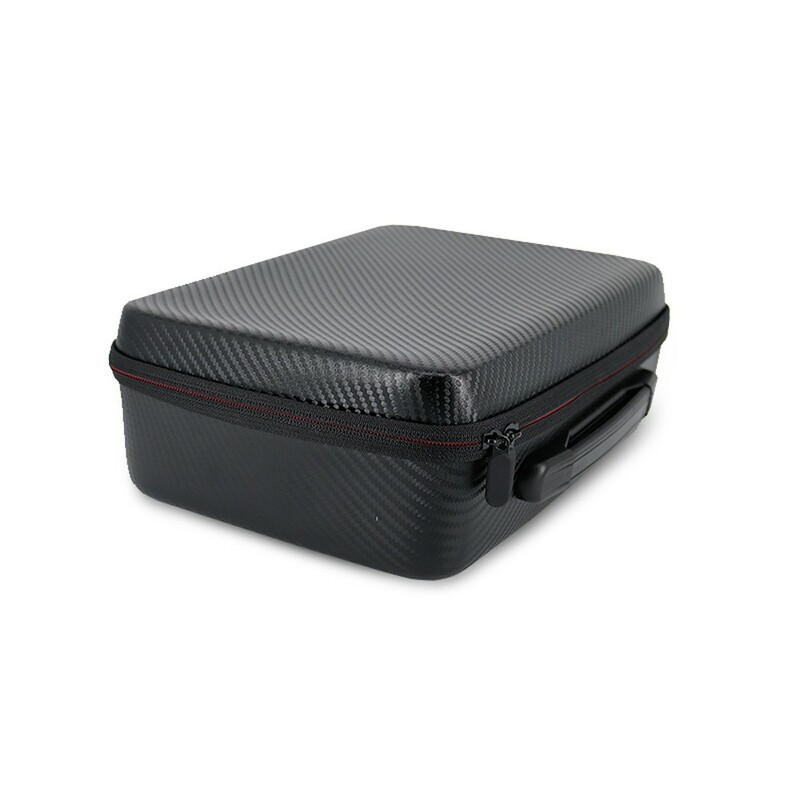 Small size with large capacity- It can store a drone, two batteries, remote control, charger, battery manager, propellers, tablets, data cable, etc. 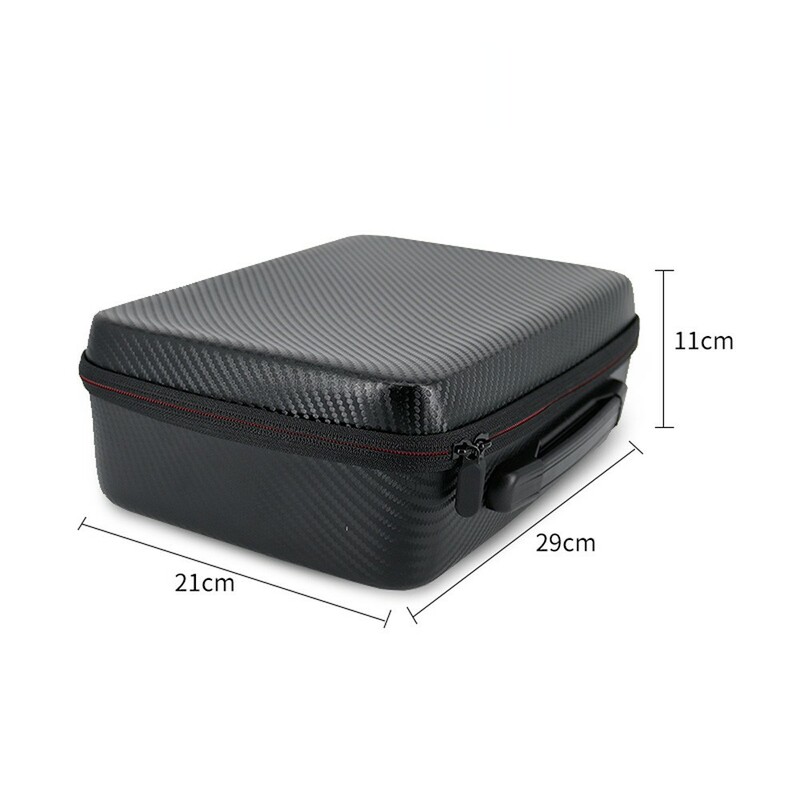 Made of PU Plastic, durable and water resistant. 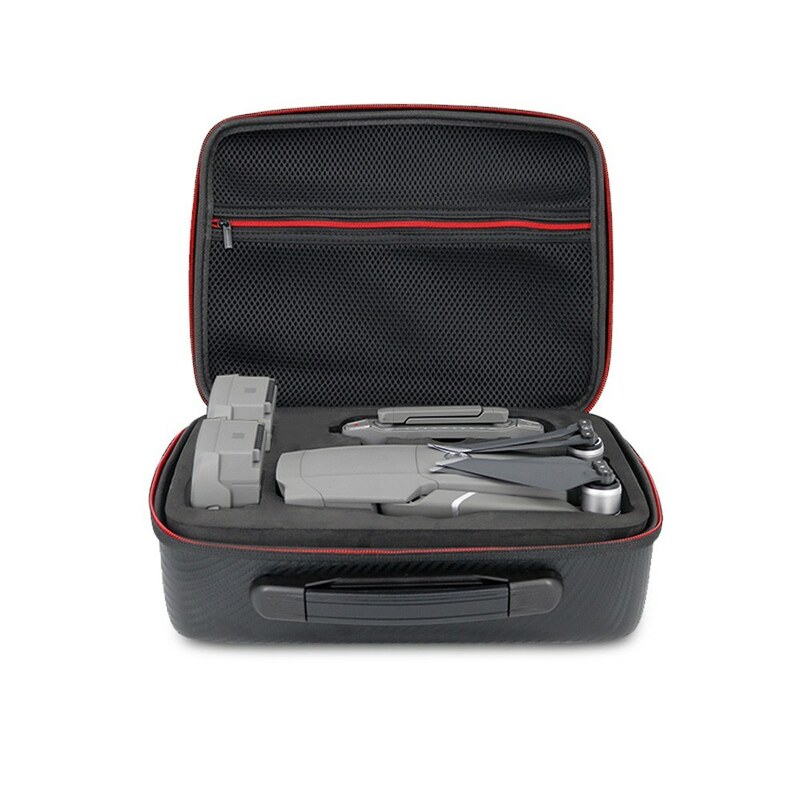 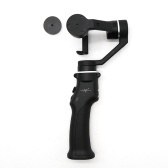 Attractive appearance, anti-friction with flexible handle, easy to take up. 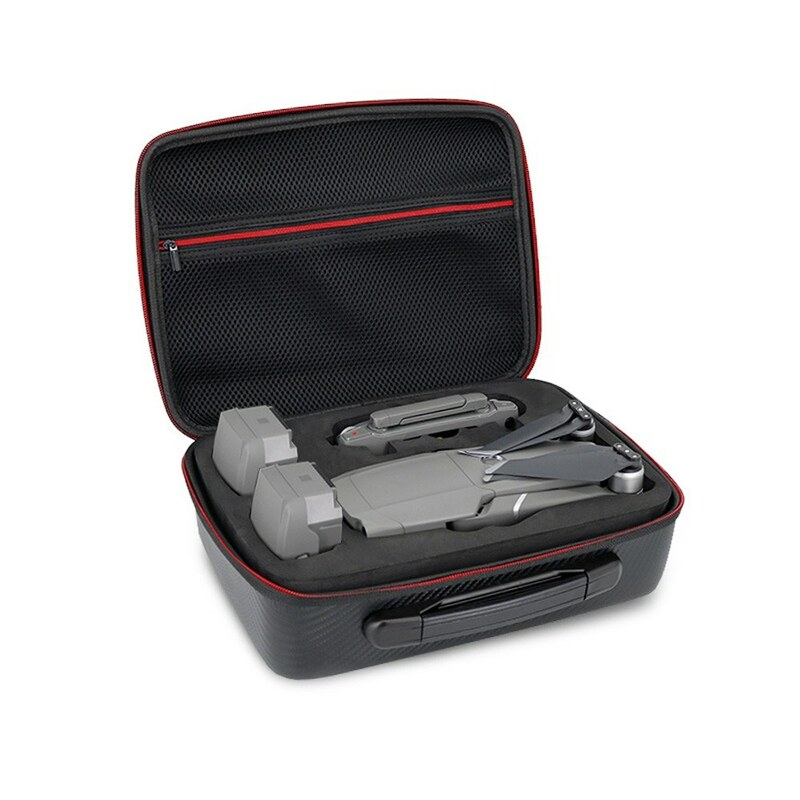 Shockproof foam inner structure protects your drone. Smart size, perfect for DJI Mavic 2 Drone Double Batteries Version. 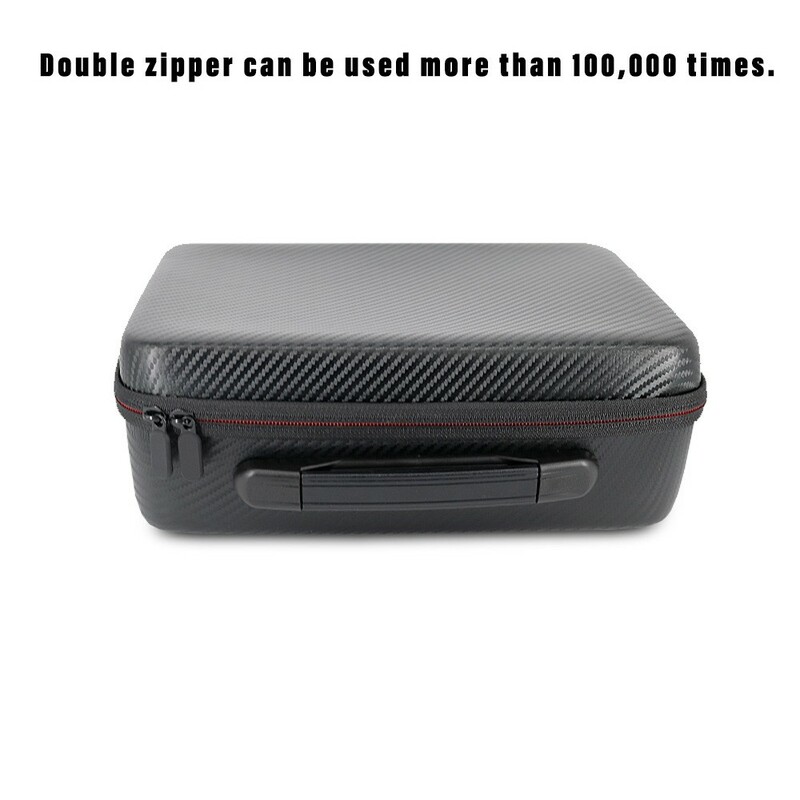 Double zipper can be used more than 100,000 times.